Don't you feel safer already? U.S. Secretary of State Hillary Clinton said on Monday the Obama administration had dropped "war on terror" from its lexicon, rhetoric former President George W. Bush used to justify many of his actions. "The (Obama) administration has stopped using the phrase and I think that speaks for itself. Obviously," Clinton told reporters traveling with her to The Hague for a conference on Afghanistan, which Bush called part of his "global war on terror." 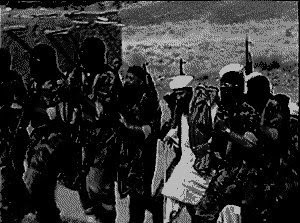 The term "war on terror" was coined after the September 11, 2001 attacks against the United States, which were planned in Afghanistan by the militant group al Qaeda. The phrase was strongly criticized by human rights groups who said it was used to justify many actions, such as the opening of the Guantanamo Bay prison for detainees held without trial at the U.S. Naval base in Cuba. Internationally, the phrase was seen by critics as a "with-us-or-against-us" philosophy, overly dependent on military force and what many Muslims decried as an attack on Islam. In the interest of political correctness, may I suggest some alternatives? Hat tips: Ben and DebbieKinIL. Hat tip: Are we lumberjacks. 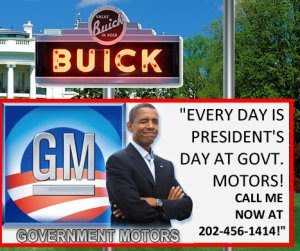 "It depends on what the meaning of 'running GM' is"
Although President Obama never held a private sector job, I have a hunch he'd be a heck of a car salesman. He fires GM's CEO, puts taxpayers on the hook for its warranties, and then charts engineering direction by forcing the automaker to build "green cars". Then he has the gall to say "has no interest or intention of running GM." That's some world-class, Clinton-esque fibbin', folks. Freedom Plow discovered a very cool video, converted from some sort of early motion picture camera. 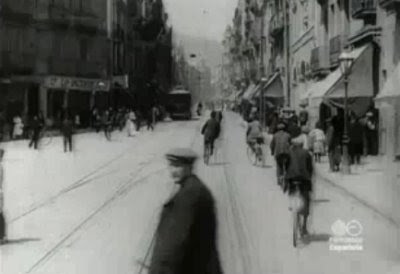 The film was taken in 1901 from the front of a trolley as it crept through the streets of Barcelona. 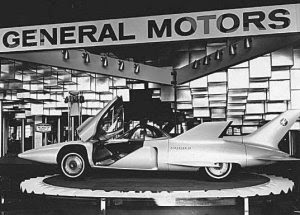 • First, Obama fired GM's senior executive: "Rick Wagoner is stepping aside as Chairman and CEO... it will take a new vision and new direction to create the GM of the future." 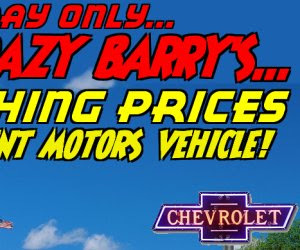 • Next, Obama created government-backed warrantees for all GM cars: "...if you buy a car from Chrysler or General Motors, you will be able to get your car serviced and repaired, just like always. Your warrantee will be safe... In fact, it will be safer than it's ever been. Because starting today, the United States government will stand behind your warrantee." • And Obama will decide what kind of cars GM will build: "...several members of Congress have proposed an even more ambitious incentive program to increase car sales... [such a program would] provide a generous credit to consumers who turn in old, less fuel efficient cars and purchase cleaner cars have been successful in boosting auto sales in a number of European countries." 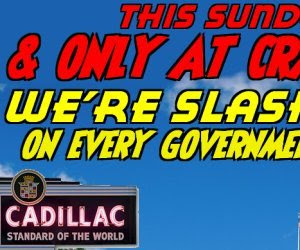 • But he claims the U.S. government won't be running GM: "Let me be clear: the United States government has no interest or intention of running GM." Now that's change... and double-talk... we can believe in! 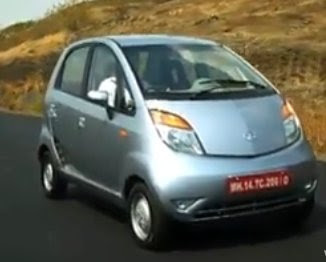 The reviews of the Tata Nano are starting to roll in and general impressions are startlingly positive. The Nano has a base price of around $2,000 and is, by far, the world's least expensive production vehicle. 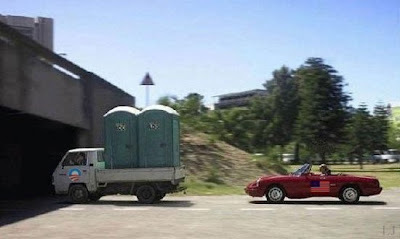 Yet reviewers have offered glowing praise for the vehicle and its build quality. 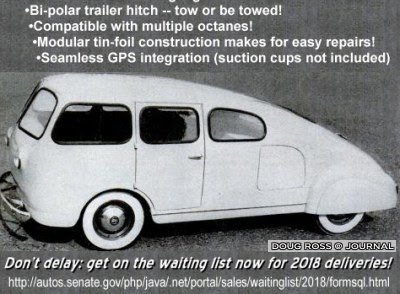 • "One of the greatest bargains of all time"
• "a triumph of Indian ingenuity"
• "appealing, especially to ladies"
• "as cute as a cartoon caricature... desperately loveable"
• "It's not a toy or an autorickshaw with a fourth wheel as many sceptics believed." • "It's a credible car that does the job brilliantly for its target customers and in the process trounces much more expensive cars in areas like passenger space." • "The Tata Nano is worth every bit of your hard-earned money and we believe it has the makings of a cult car." • "It is just as 'revolutionary' [as the Beetle]. Both in terms of the place it is likely to hold in Indian society, and from a technology point of view." • "In the mould of the original Ford Model T but snappier and impressive in its use of the right technology, the Nano has the makings of a mega winner." • "The Nano's not perfect... Owners will want more power, miss the practicality of a hatch and want an additional gear too. But that's about it." 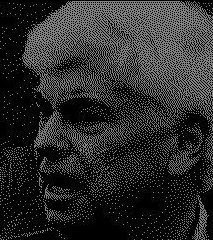 The Washington Times broke a story today that could put the nail in the coffin of the political aspirations of Senator Christopher Dodd (D-CT). 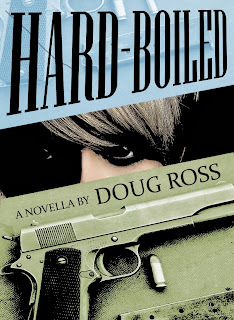 It is simply the latest in what the New York Post calls Dodd's "cavalcade of scandal." There are two takeaways: (a) the level of apparent backscratching and self-enrichment in Washington has reached epidemic levels; and (b) now that they are in power, Democrats have immunized themselves from prosecution by slow-rolling ethics complaints and hamstringing FBI investigations whenever possible. I'd like to nominate the following Dodd activities for our annual Sleaze-o-crat™ awards, hosted by David Hasselhoff. Take a gander at these, you peons! You think you'd ever be able to get away with these? Fat chance, losers. This kind of legal force field is only available to our royalty in Washington! Estimated take: $70,000: the amount of money Dodd saved on sweetheart mortgage deals offered by Countrywide co-founder Angelo Mozilo. Countrywide ended up imploding through its billions in troubled, minimally undewritten mortgage loans, which helped to touch off the entire financial meltdown. 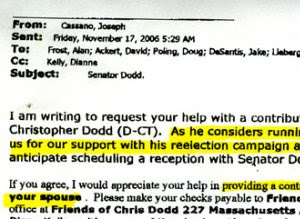 Dodd has never publicly released complete documentation of the loans, despite promising to do so nearly a year ago. Estimated take: $80,000: the amount of mortgage, fees and taxes paid by accused inside-trader Edward Downe Jr.. Downe paid half the fare of the Washington, DC condo that Dodd live in, but reportedly used it "rarely." The subsidy ended when feds came calling on Downe. Estimated take: $160,000: the amount of money Dodd received in 2006 from AIG's troubled Financial Products division (AIG-FP). It was AIG-FP that played a central role in the meltdown of the financial system and Dodd -- along with House counterpart Barney Frank -- stonewalled every attempt at reining in the insanity. Estimated take: $180,000:the amount Dodd profited on a 10-acre, waterfront home purchased with Downe and one of Downe's real-estate buddies. Each bought a third of the property during a huge runup in Irish real-estate prices, but Dodd was able to buy out Downe's friend eight years later at a "substantial" profit. 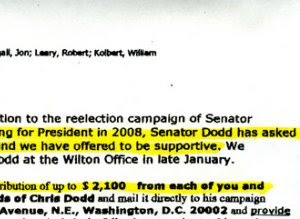 Estimated take: $400,000: the approximate value of the pardon Dodd secured for Downe by going directly to Bill Clinton during the 2001 "Filene's Basement Pardon Sale" ($400,000 estimated based upon the amount Hugh Rodham -- Hillary's brother -- reportedly secured for the pardon of Glenn Braswell. Estimated take: $800,000: the amount of money Dodd financed under two very sweetened mortgage deals at rates not available to non-Washington royalty. Countrywide was one of the largest funnels of subprime mortgage sewage to Fannie Mae; it played a central role in destroying a variety of financial institutions that held stakes in GSEs like Fannie and Freddie. 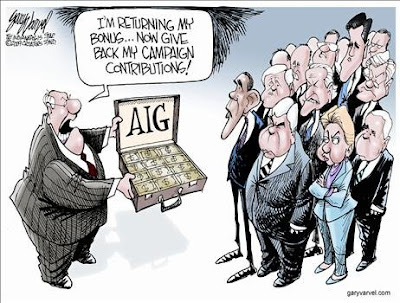 Estimated take: $218,000,000: the amount of bonuses AIG executives collected after Dodd slipped a back-scratching provision into legislation that would protect the payments. 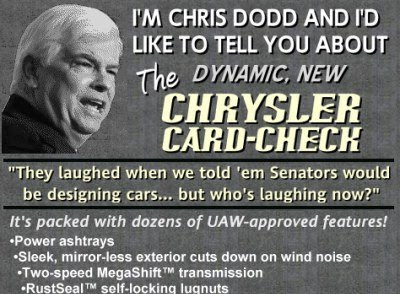 Dodd's evasiveness regarding his actions on the bonuses stink to high heaven; he's blamed them on everything from the Treasury Department to a bug in Turbotax (oh wait, that was Tim Geithner). 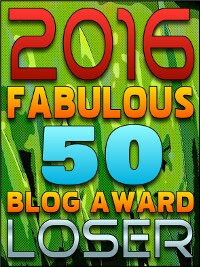 And the winner is... no one. We're all the losers as long as the Democrats in power tolerate a rampant culture of criminality. Note: These figures are estimated. Your profits may vary if you are an elected Democrat and as big a sleazebag as Dodd, Rangel, Frank, Feinstein and the rest of the Democrat Culture of Criminality. Related: Above the law: a handy guide to the Democratic Party's ongoing scandals. With tyranny and oppression of all. The left column is the new stuff... the right column is being sent to the old people's home. ...cumulative GDP losses for 2010 to 2029 approach $7 trillion. Single-year losses exceed $600 billion in 2029, more than $5,000 per house¬hold. Job losses are expected to exceed 800,000 in some years, and exceed at least 500,000 from 2015 through 2026. Well, that should help pay off the country-killing deficit caused by the Obama Depression Budget. The climate change scam was birthed by the United Nations. A bunch of bureaucrats, losers and scam-artists formed businesses designed to profit from the very recommendation they made: to start forcing countries to cap-and-trade carbon emissions using "credits" or "offsets". The grift was originally called "The Kyoto Protocol". But the scam has since undergone a name change reminiscent of the re-branding global warming has undergone -- to "Climate Change" (which should fool the media because of phenomena known as "seasons"). It's now known as "The Bali Action Plan" and you can read it online. Gee, I detect a pattern. 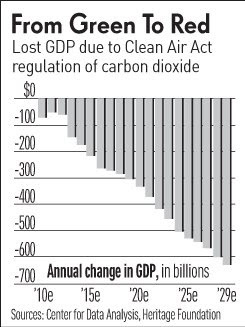 Investors Business Daily calls the EPA's finding -- that carbon dioxide is toxic, and therefore should be regulated -- "The Anti-Stimulus." 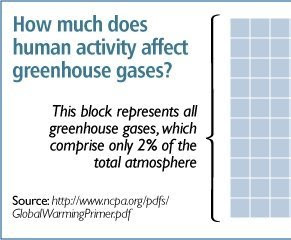 Carbon dioxide, which comprises an infinitesimally tiny fraction of Earth's greenhouse gases, is no more dangerous than oxygen or water. 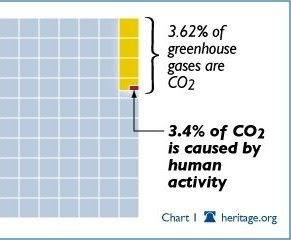 Regulation of carbon dioxide is a scam designed to accomplish two things: (a) increase the power of the state over the individual and (b) impoverish our society. But it's not about economics with Enviro-Statists like Obama. It's about ideology. Welcome to intellectual -- and actual -- bankruptcy. Organizing for America (OFA) is a cadre of Obama supporters, first marshaled a few weeks ago to ignite grassroots support for the President's massive budget bill. 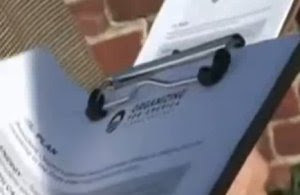 Last week, The Birmingham News reported that groups like OFA and ACORN were organizing volunteers to canvas for Obama's agenda. 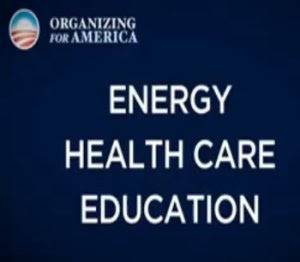 The iconography of the OFA marketing material is bizarre: it is affiliated not with the Democrat Party, but Barack Obama himself. Comforting, given that ACORN and OFA are certain to benefit from the insidious GIVE Act, which provides $5.7 billion to create 250,000 "paid volunteer" jobs. The Senate defeated an amendment to GIVE that would have prevented groups with political arms -- like ACORN and OFA -- from receiving funds. 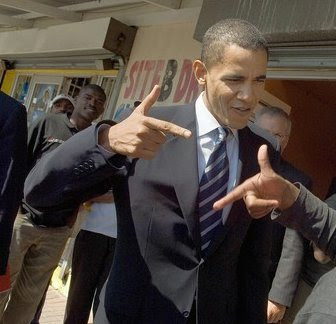 That means these community organizing groups, affiliated with Obama himself, could receive billions of taxpayer money. And the GIVE Act may tie directly to Obama's bizarre promise -- repeated publicly on two occasions -- to create a "civilian national security force that's just as powerful, just as strong, just as well-funded” as our military." Specifically mentioned in the bill are programs "that strengthen community efforts in support of homeland security." In other words, GIVE could militarize ACORN and OFA under the guise of "homeland security." 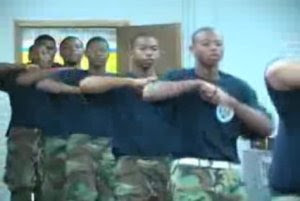 It provides housing, uniforms, food, logistics, unspecified equipment and "other services determined by the Director." DeHaven simply confirmed what anyone can read for themselves in the bill. "We're not looking for a fight. 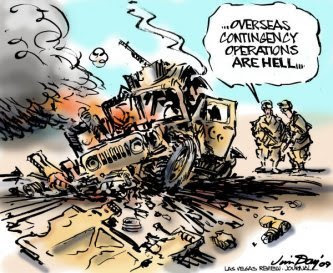 That will come later, when we have an army"
Courtesy of the GIVE Act, Obama's army -- an unprecedented internal security force operating as a political wing of a President's re-election campaign -- appears to be on the way. Funded by taxpayers, no less. 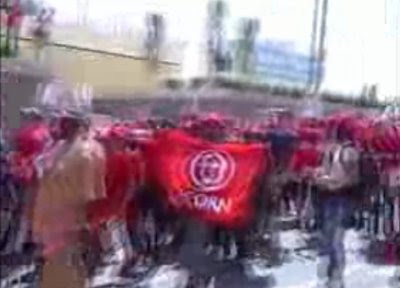 I'd call them Brownshirts, but ACORN's color is red. 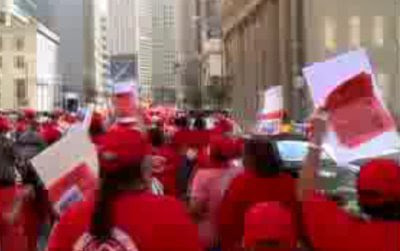 the official position remains that only “the richest five percent” will have taxes increased. But you’ll be surprised at the percentage of Americans who wind up in the richest five percent. This year federal government spending will rise to 28.5 per cent of GDP, the highest level ever, with the exception of the peak of the Second World War. The 44th president is proposing to add more to the national debt than the first 43 presidents combined, doubling it in the next six years, and tripling it within the decade. But to talk about it in percentages of this and trillions of that misses the point. It’s not about bookkeeping, it’s about government annexation of the economy, and thus of life: government supervision, government regulation, government control. No matter how small your small business is — plumbing, hairdressing, maple sugaring — the state will be burdening you with more permits, more paperwork, more bureaucracy. What's the carbon footprint of the "Door to Hell"? Then suddenly during the drilling they have found an underground cavern, it was so big that all the drilling site with all the equipment and camps got deep deep under the ground. None dared to go down there because the cavern was filled with gas. So they ignited it so that no poisonous gas could come out of the hole, and since then, it's burning, already for 35 years without any pause. Nobody knows how many tons of excellent gas has been burned for all those years but it just seems to be infinite there. Tell you what. 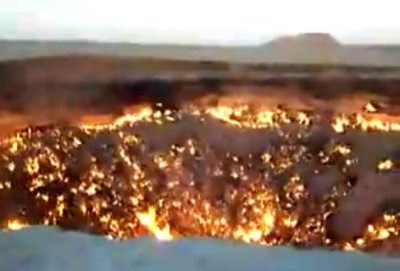 I'll pay for my carbon "footprint" when Uzbekistan coughs up its tab for 35 years of carbon dioxide emissions from this monstrous burning cavern. If you need further proof that all of this global warming crap is a scam, look no further. The "Generations Invigorating Volunteerism and Education Act" (or GIVE Act), purports to expand the spirit of volunteerism in America. 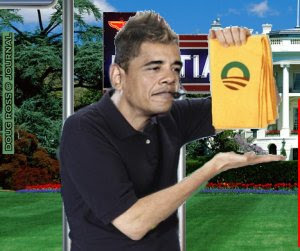 It is, instead, an insidious mechanism that uses taxpayer funds to build a uniformed cadre of paid ACORN "volunteers" who will be solely focused on re-electing Barack Obama in 2012. It passed the House days ago and its Senate counterpart (the ill-named "Serve America Act") passed on Thursday. The two acts will be reconciled by the House next week and likely signed into law immediately thereafter. It is a crime and an outrage. The Senate bill purports to provide "$5.7 billion to aid 250,000 volunteers across the country in the arenas of health care, energy, environment and education." But the Senate killed an amendment that would have prevented funds from going to ACORN. This means that ACORN, which stands accused of massive voter registration fraud by its own former employees, will probably receive billions more in taxpayer money. Remember that ACORN is a nakedly partisan and accused criminal operation that has allegedly co-opted more elections than any group in history. The proposed amendment, offered by Sen. David Vitter (R-LA), would simply have prevented charitable groups with political arms from receiving funding under the GIVE Act. Vitter noted that, "...At the heart of this debate is whether this new federal bureaucracy would, in effect, politicize charitable activity around the country, which we certainly do not want." This is criminal: Most of the $5.7 billion is likely to find its way into ACORN's coffers and then help directly fund Democrats and more government expansion. 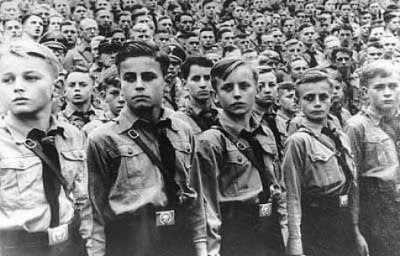 Orwellian: Precursor to Obama's "Internal National Security Force"? The GIVE Act was stealthily modified during the House debate -- not in substance, but in terminology. Even so, the nomenclature is Orwellian and ominous. Given President Obama's bizarre promise to create a "civilian national security force that's just as powerful, just as strong, just as well-funded” as our military," the GIVE act appears to be a precursor to that type of internal security force. GIVE creates a "National Civilian Community Corps" and establishes a "Permanent Cadre" which will "give consideration to retired, discharged, and other inactive members and former members of the Armed Forces." 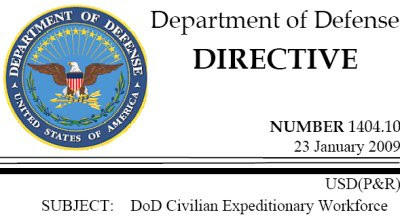 Furthermore, "The Director shall give priority to projects utilizing retired military and emergency professionals for programs to improve public safety, emergency and disaster preparedness, relief, and recovery, search and rescue, and homeland security efforts." Specifically mentioned are programs "that strengthen community efforts in support of homeland security"; in other words, ACORN. Thus, both the House and Senate bills are designed to funnel money to a semi-militarized wing of the Democrat Party. ACORN appears to be at the center of this wing. The terminology in the original bill -- "camps" and "superintendents" -- was replaced to avoid scrutiny. The terms used now are "campuses" and "campus directors". Furthermore, groups like ACORN and "Organizing for America" appear to be detachable from the Democrat Party. They can be seen as cults of personality, unlike any mainstream political organization ever seen in the United States. They are loyal to a man, not a party. Their activities advance the agenda of the man, not the country. Mandatory Secondary School Education: Section 120 of the bill also discusses the “Youth Engagement Zone Program” and states that “service learning” will be "a mandatory part of the curriculum in all of the secondary schools served by the local educational agency." Larry Anderson observes, "There appears to be little volunteerism and almost no education in the bill. But there are a lot of make-work government jobs for doing God only knows what." That reads more like a "civilian national security force" and not a voluntary program for cleaning up neighborhoods. You can't say we weren't warned, America. 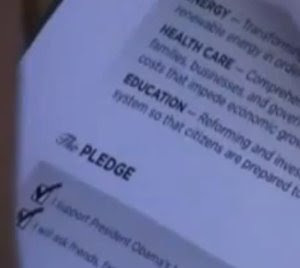 Candidate Obama told us what he planned to do. Linked by: Gateway Pundit, Cold Fury, Parkway Rest Stop and Blog of Record. Thanks!